It’s so easy to judge other parents when they’re not paying attention to their kids. But all parents know that anything can happen in the blink of an eye. Some kids only need a small window of opportunity to get into trouble. A baby in a mall in China got away from her parents. The baby made her way over to the escalator in her rolling walker. 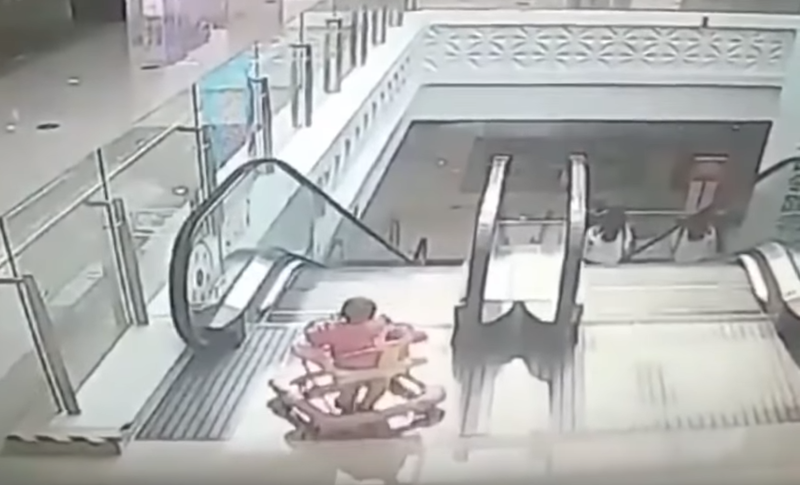 She ended up falling down the escalator for a few seconds until a man walking by at the bottom sprung into action. Thankfully the little girl only suffered minor injuries.